We promote sustainable, responsible and vibrant coastal communities through art, culture, heritage and education. Our Vision is to connect people with the coast and sea to enjoy carefully now and in the future, remembering and valuing them. Our aim is to promote a greater understanding of the heritage, community identity, and social inclusion of Sidmouth and other coastal areas, via education, arts and awareness raising. We are promoting a sustainable and responsible approach to value, protect engage and regenerate our coastal community and fishing past. Creating understanding about local, sustainable and seasonal fish and other coastal activities. Stimulating ideas and actions that result in a coastal cultural offer to the local community and visitors through events, arts, music and education. 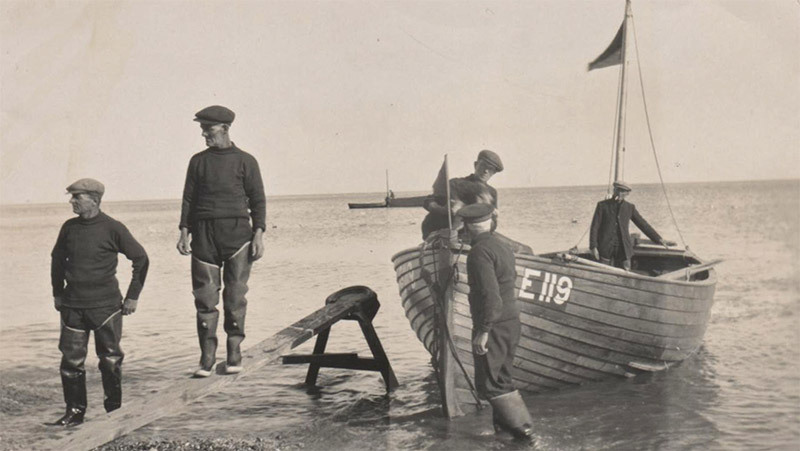 Supporting the development of Sidmouth and other areas with a distinct coastal identity, proudly demonstrated through their fishing past through to current art, music, history and coastal sports and leisure activities. This film from Sidmouth Coastal Community Hub’s “Working the Sea” is a sensitive telling of passion for the sea and the painful loss of a loved one – a universal story of fishers. This film was created by Butterfly Effect Films for BBC Inside Out South West and is dedicated to Ian Bagwell. If you would like to get involved or book an event please get in touch. Sidmouth Coastal Community Hub devises, sources, and delivers projects that focus on community engagement and events, local economic growth, the coast, education, creativity and the arts, sustainability, and responsible tourism.